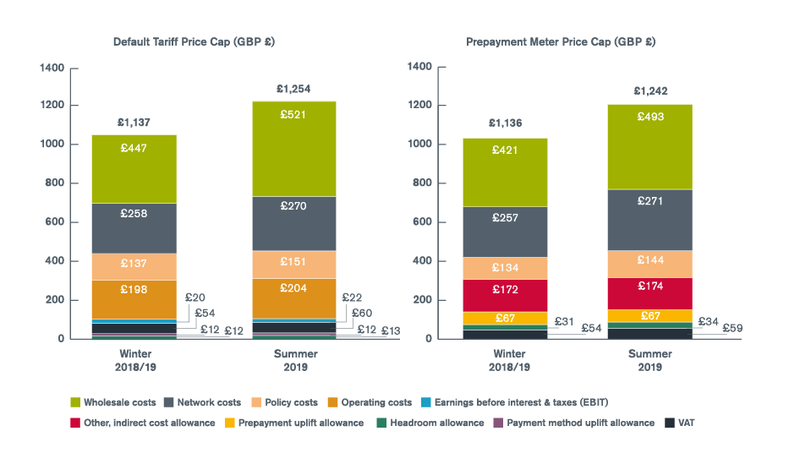 Ofgem analysis suggests that default tariff customers could be paying around £75 to £100 a year more on average for their energy had the default tariff cap not been introduced even after today’s increase. “Under the caps, households on default tariffs are protected and will always pay a fair price for their energy, even though the levels will increase from 1 April. Note: cost components above do not add up exactly to total cap levels due to rounding effect.